As you probably won’t know, the Hooked on Hooks’ website is undergoing a complete revamp. I liked the original site but technology has moved on making it difficult for some users to access. 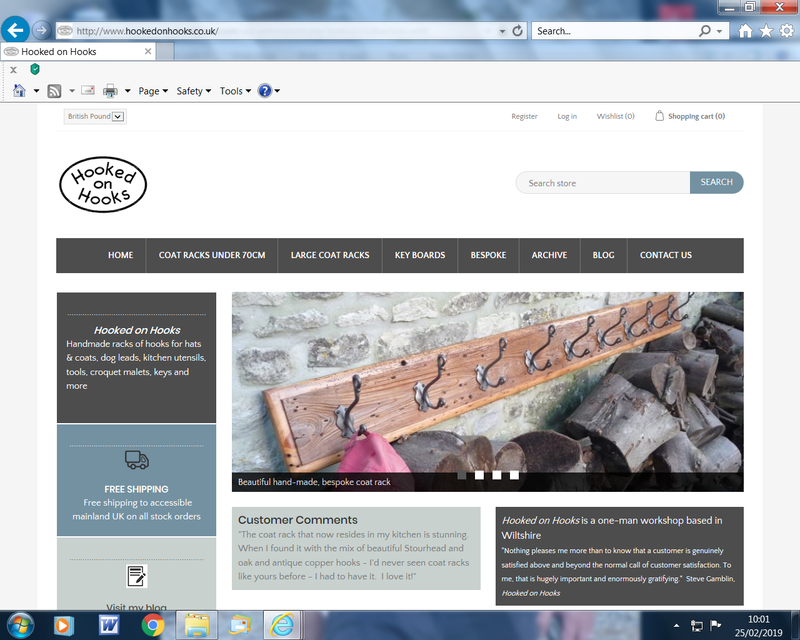 The new site – http://www.hookedonhooks.co.uk – looks fresher and bang up-to-date and is quicker and easier to navigate. And is also quicker and easier for me to manipulate behind the scenes. Having tweaked or rewritten most of the information and descriptive texts on the new site, I am now in the process of reloading stock – presently about 20 items. When that task is complete, I’ll be back in the workshop producing new coat rack, key boards and so on. Meanwhile, I am very much open for business and am able to take on bespoke orders, if nothing on the site is suitable for you.